Cream together eggs, sugar, brown sugar and butter; add flour, mixing well. Stir in chocolate chips and walnuts, if desired. Spread in pie crust; bake at 325 degrees for one hour, or until center tests done. Serves 6 to 8. 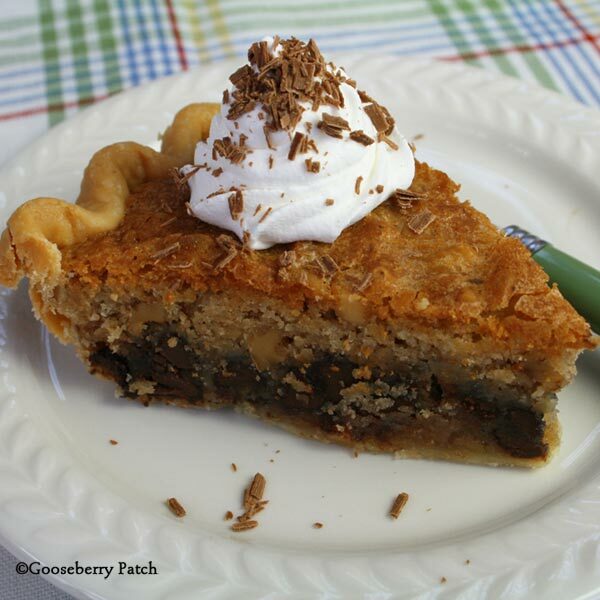 Enjoy this recipe from Come on Over originally published 11/2004.